If you’re looking for the ultimate get away from the rat race and hectic pace of 21st Century living then a stay at Chatrium Golf Resort Soi Dao Chanthaburi must surely be at the top of the bucket list of chilled out destinations. The resort’s sole intention is that everybody who drives up the winding path to the front door enters a world where the world outside doesn’t really matter at all. With the beautiful and majestic peak of Soi Dao Mountain providing a selfie-perfect backdrop and the lush, rolling grounds and glorious flora of Chatrium Golf Resort Soi Dao Chanthaburi offering the chance to embrace nature at every turn “relaxation” transforms from more than a simple word into something truly tactile. Guests will want for nothing during their stay as they play the perfect round of golf on the international class golf course, take a refreshing dip in the pool, enjoy an enticing signature dish at Soi Dao restaurant or take to two wheels exploring the locale on one of the resort’s complimentary bicycles. In fact the only problem with a stay at Chatrium Golf Resort Soi Dao Chanthaburi is tearing yourself away from a totally taking it easy lifestyle. But that would mean missing out on the many fascinating things to see and do in one of Thailand’s most beautiful provinces which is why a trip to Wat Khao Chawang in Pongnamron District is highly recommended. Wat Khao Chawang, or “Khao Chawang Temple”, is well-known throughout Thailand as a place of worship with many people from the four corners of the kingdom visiting to make merit. The most striking feature of the temple is the material used in its construction, as it is the only temple in the entire province constructed entirely of wood. 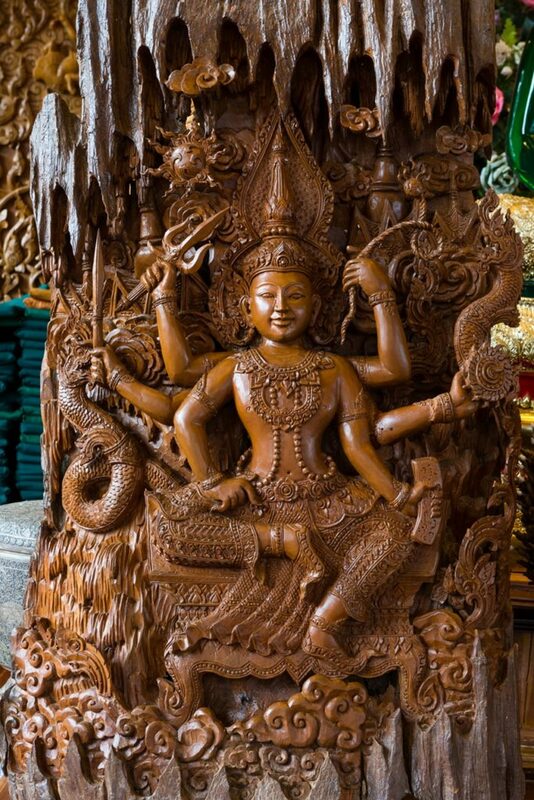 The temple offers many memorable photo opportunities as the wood has been carved into ornately intricate engravings, which are stunning to behold. 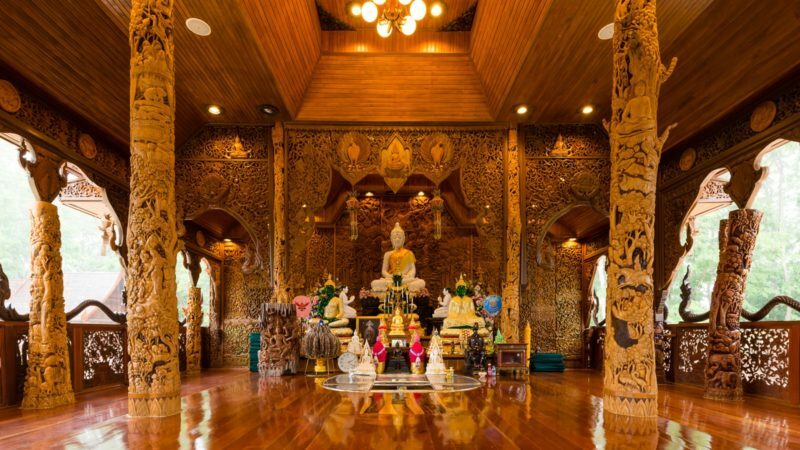 So if you can bear to leave the complete comfort of Chatrium Golf Resort Soi Dao Chanthaburi for just a little while you certainly won’t regret a visit to the breathtaking Wat Khao Chawang. Wat Khao Chawang is located 30 minutes by car from Chatrium Golf Resort Soi Dao Chanthaburi and is open from 8.a.m. to 5 p.m. every day.